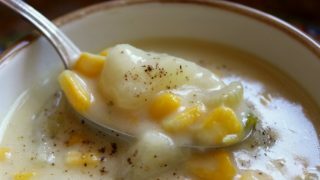 This creamy corn chowder recipe is everything you’re looking for in a comforting soup, without the extra calories of heavy cream or half and half. Well, if it’s pretending to be something it’s not and totally getting away with it, I’d say it’s sly! This thick and creamy bowl of deliciousness doesn’t have one drop of cream in it. Truthfully, that’s rare for me, and I’m not saying you couldn’t add some cream, however, you really won’t need to. 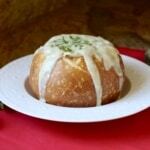 I based this on my clam chowder recipe which is also rich and creamy, without added cream. A bit of flour and potatoes and one little trick, make up the magic in this recipe. Heat the butter and oil in a large pot. 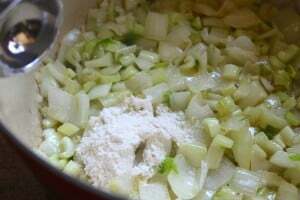 Add the onion and celery and sauté over medium high heat for about 7 minutes, before adding the flour. Stir vigorously so that the flour cooks, but doesn’t brown, for about 4 minutes. Begin adding the stock a little at a time, while continuing to stir until all the liquid has been added. Next, add the milk and stir well. Add the diced potatoes and 1 teaspoon of salt, and allow to simmer for about 8 minutes, stirring often, before adding the corn. Simmer for an additional 8 to 10 minutes or until the potatoes are cooked. Now, for the trick which thickens and improves the overall flavor of this chowder. Remove about a cup or so of the soup and use an immersion blender to puree it. Return it to the pot and stir well. If it’s not thick enough, puree a little more. Taste, adding salt if necessary and some black pepper. Serve hot. 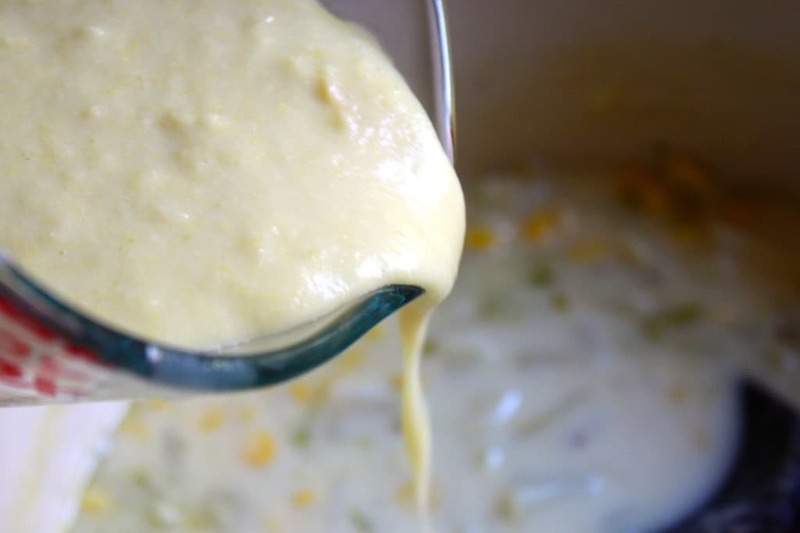 You could truly adapt this recipe to make any sort of creamy chowder, or you could just add your choice of ingredients to make it your own version. If you do, drop me a line below and let me know what you did and how you liked it! 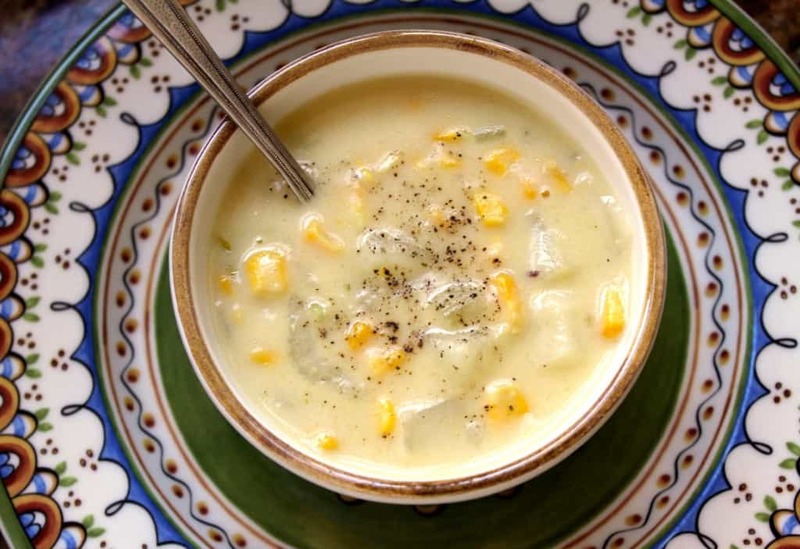 Super rich and creamy corn chowder without a drop of cream. Then add the milk and stir well. 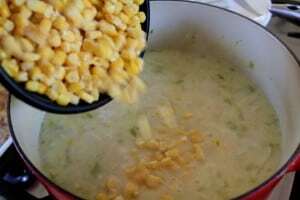 Next, add the diced potatoes and 1 teaspoon of salt, and allow to simmer for about 8 minutes, stirring often, before adding the corn. Simmer for an additional 8 to 10 minutes or until the potatoes are cooked. Now for the trick to thicken and improve the overall flavor of this chowder: puree about a cup or so and return to the pot. fried ground sausage and added 5 slices of cheese. We used fresh milk & cream from our local dairy. Can’t get any better than that!! So happy you enjoyed it, Diane! Fresh dairy products are fantastic! Lucky you! 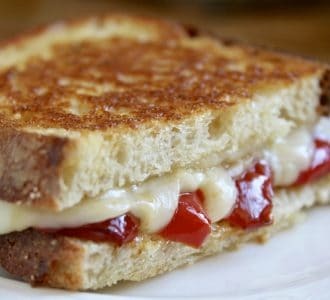 I just found this recipe on pinterest and I’m in love! After Thanksgiving I had every ingredigent on hand (exactly 2 potatoes and 3 cups of Veggie stock left..it was meant to be!) It’s soooo good! My wife and I made this and it was just the thing for this chilly evening. I added some Trader Joe’s South African Smoke (smoked paprika) to kick the flavor up a tad. 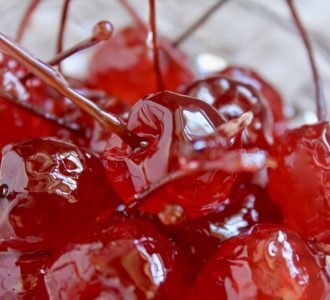 Thank you for posting this yummy recipe. Fantastic, Randi! That’s a great addition :) Thanks for the review! Delicious on this chilly fall day in Lancaster County, Pa! Served it with homemade breadsticks. My 4 year old is usually a verrryy sloow eater, but once her soup cooled down it disappeared quickly! Thanks for this yummy recipe! That’s great to hear, Amber! My daughter’s already complaining about the cold (she’s at Villanova), but I have to remind her that I warned her about leaving California to go to uni on the east coast! haha! This was yummy! I didn’t have any celery ( I think the celery elf took it). So I used celery salt and a cup of chopped carrots instead. Then used low sodium chicken broth to keep the sodium down We all loved it. 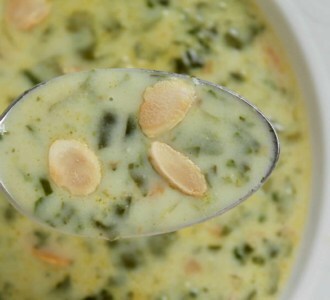 Thanks for a great creamy soup recipe. 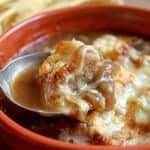 This is a delicious and very filling soup, ever since we found this recipe we have already cooked this countless times because my children loved it. Thank you for the recipe. Thank you so much, Sheila! That means a lot to me to hear that! I’m so happy you found my recipe. If you haven’t tried my pasta and beans recipe, I bet your children will flip for that (most kids LOVE it)! Enjoy and thanks again! We just had Corn and shrimp chowder in Florida. The flavor was good, but I didn’t like the watery texture. Do you think I could add shrimp to this? I’ve made this soup several times. 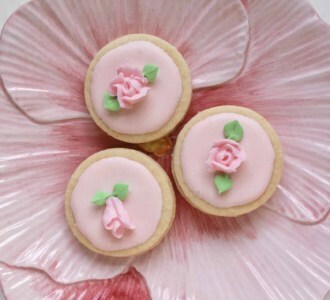 I love it’s wonderful creamy taste & texture but without any cream! I’ve shared the recipe w several people & everyone loves it! I recently purchased a Insta Pot. Could I make this using the pressure cooking setting ? Looks and sounds delicious. 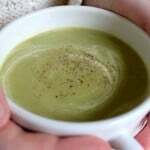 Homemade soups are my favorite meal, it doesn’t have to be winter time to enjoy them. Very true, Nadine! Looks like I missed your comment in January! So sorry! I hate when I do that, but sometimes it’s when I’m traveling. :) Thanks so much! Sounds perfectly creamy and delicious…healthy too! Lovely to hear! Thank you, Courtney! We had a cold front come through and it is freezing! I gave your recipe a try and adapted with what I had on hand! Frozen onions, celery, and peppers mix with seasoning, canned diced potatoes, and a little bit of cheese! Turned out amazing! Thanks for helping a mama out to keep us all toasty warm with full bellies! Wow! I just made this using leftover mashed potatoes and roasted corn from yesterdays dinner. I only had nonfat milk so I used a little of that and an 8oz. cup of sour cream I had on hand. It came out great! This looks absolutely delicious. I love chowder so this is right up my alley. Thanks Kim! You’d love it! 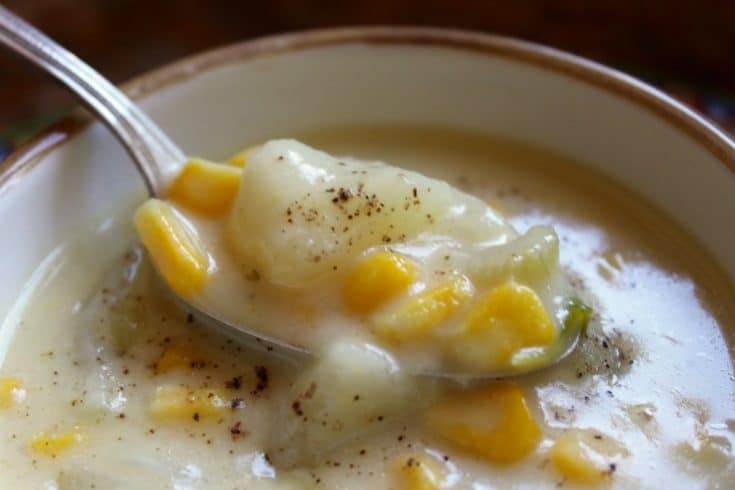 This corn chowder looks so good! So perfect for this time of year! It is really a perfect autumn dish, Angie! 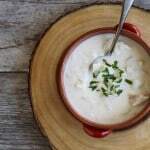 I love chowders but not all the fat so I’m all over this! LOL, I love the title – sly indeed! :) Pureeing part of the soup is a great trick. 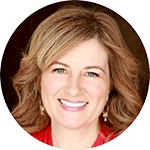 And I’m with you – I’m all for cream but it is nice to have a lower cal option for those rare occasions when the cream isn’t “totally” necessary! :) Great recipe! Thanks, Kimberly! Yes, I can do without the cream, anyone can! haha! Just made this recipe this morning and enjoying for lunch with some warm bread – it’s so very good especially on a dreary cool day! Thanks for another great recipe. I have made this many times because it’s so delicious, but today I added a can of Cannellini Beans and cooked chicken that I had, and it’s really good too! I added shredded chicken, (left overs) and crumbled bacon on top (so much for healthy) just to make it a one pot dinner. 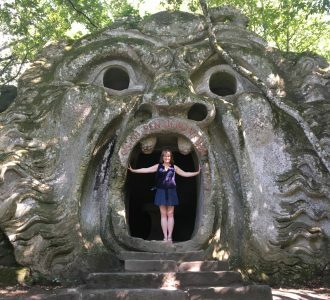 It was absolutely amazing!! Thank you so much for the best dinner ever! Just made this and wow! I love it and so easy to make. Thanks for helping to keep my dinners more interesting! I made the corn chowder for dinner this evening and it was amazing! I’m looking forward to making your lemon cake next! Chrisina – being from New England, this is closer to what I would call a real chowder. They usually are thinner than people expect and generally are made “on the sly” like yours. I can’t wait to give this one a whirl and compare it to my mum’s! Well, that is a compliment! Thank you, David! Hope you like it as much as I do! Christina, this literally made my mouth water. I adore dishes like this – girl, this recipe is sssooo pinned, because others need to know about it! Yum! 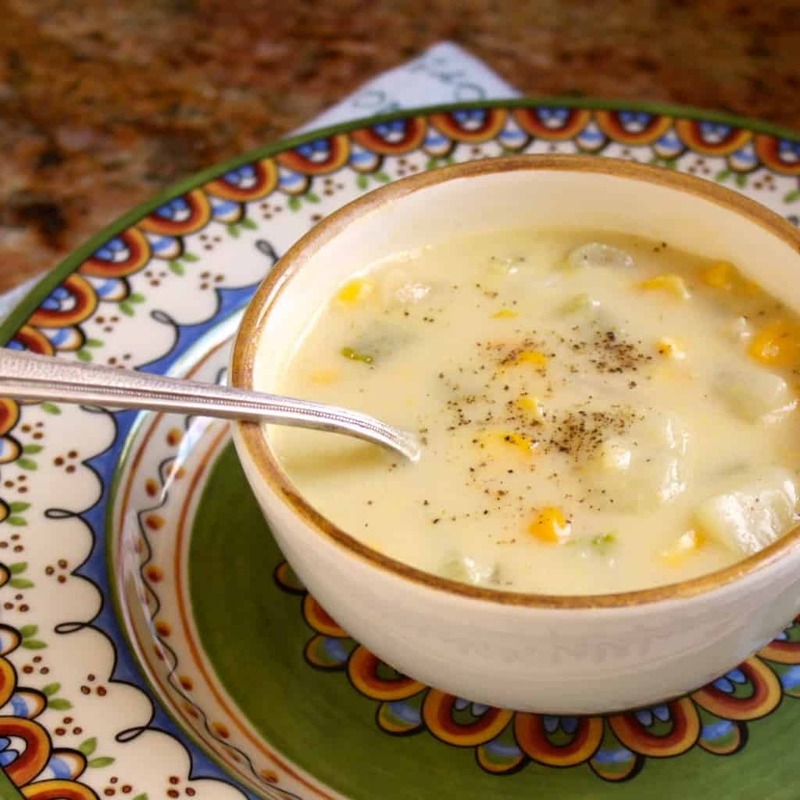 Corn chowder is always a crowd pleaser. Your little trick is one I use with beans, too. It’s a great way to thicken soups. Must remember to do it with beans, too! Thanks, Frank!